University Of Iowa Press, 9781609385477, 70pp. Proceeding from Hélène Cixous’s charge to “kill the false woman who is preventing the live one from breathing,” The Fix forges that woman’s reckoning with her violent past, with her sexuality, and with a future unmoored from the trappings of domestic life. These poems of lyric beauty and unflinching candor negotiate the terrain of contradictory desire—often to darkly comedic effect. In encounters with strangers in dive bars and on highway shoulders, and through ekphrastic engagement with visionaries like William Blake, José Clemente Orozco, and the Talking Heads, this book seeks the real beneath the dissembling surface. Here, nothing is fixed, but grace arrives by diving into the complicated past in order to find a way to live, now. instant the kiss smashed in. I doubt I’ll make it out. It’s a cold country. It’s the sting of quarantine. 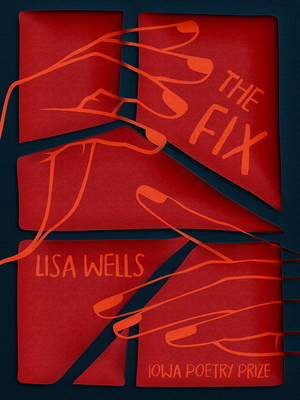 Lisa Wells is a poet and nonfiction writer who lives in Tucson, Arizona. Her work has appeared in Best New Poets, the Believer, Denver Quarterly, Rumpus, Third Coast, and the Iowa Review.